At the SRIA, we specialise in a number of areas of reinforced concrete usage. The SRIA brings to both industry and the general public the current best-practice in these areas. This service is achieved through a constant process of monitoring current projects, methods and research world-wide. Combined with our knowledge of and contact with the Australian building industry, we provide a unique resource for designers, specifiers and builders. 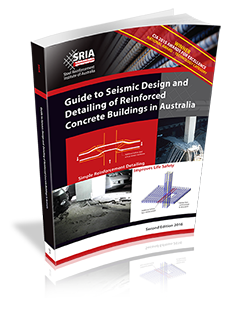 Our National Office provides free publications on a number of areas of reinforced concrete construction to architects, engineers, builders, government and members of the public within Australia. National office staff regularly travel inter-state to meet local industry contacts. A series of short lectures are offered to engineers, architects and builders free of charge. These lectures cover architectural and engineering design and the latest trends in material usage and construction. For more information on any of these areas click on your chosen topic from the drop down menu at the top under Expertise.